Go to your local farmers’ market and buy fresh eggs, mushrooms, and beets (optional: buy some olives and Bells Midwestern Pale Ale for while you’re cooking because there’s nothing worse than cooking while you’re really really hungry). When you get home, preheat the oven to 400. Don’t forget to remove the stems and wash the dirt off! Dice up the onion and mushrooms separately. Cook the onions with the minced garlic in the olive oil until the onions start becoming translucent (~2 minutes). Next, add the mushrooms and cook for about a minute, stirring constantly. 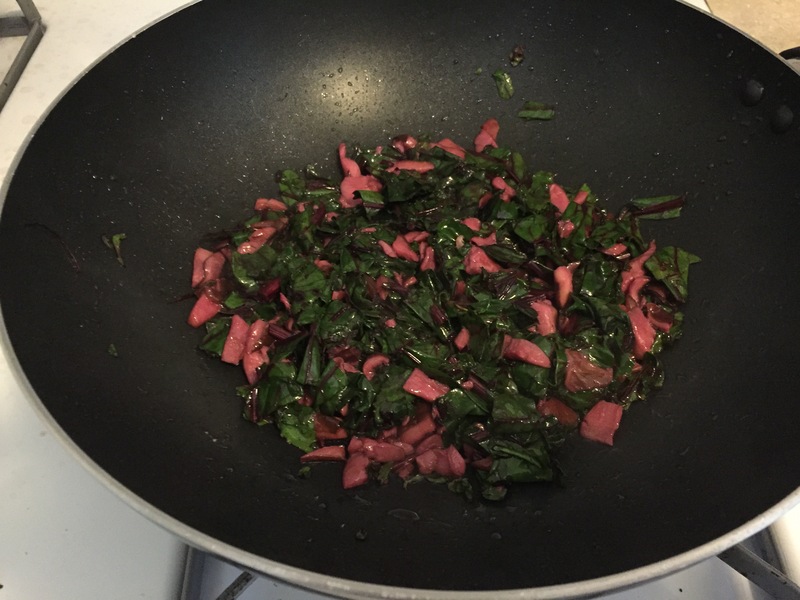 Cut the beet greens off the beets, cut them into quarter size pieces, and add them to the mushroom mixture. Cook everything until the greens have become very wilted and everything is a bright pink from the beet juices. Remove from heat. In a new bowl, mix the four eggs, 6oz of feta, 1 cup of milk, 1/2 tsp salt, 1/2 tsp pepper, 1/2 tsp nutmeg, and 2tbsp cilantro. Mix everything together thoroughly, allowing for the feta to break up into smaller chunks. 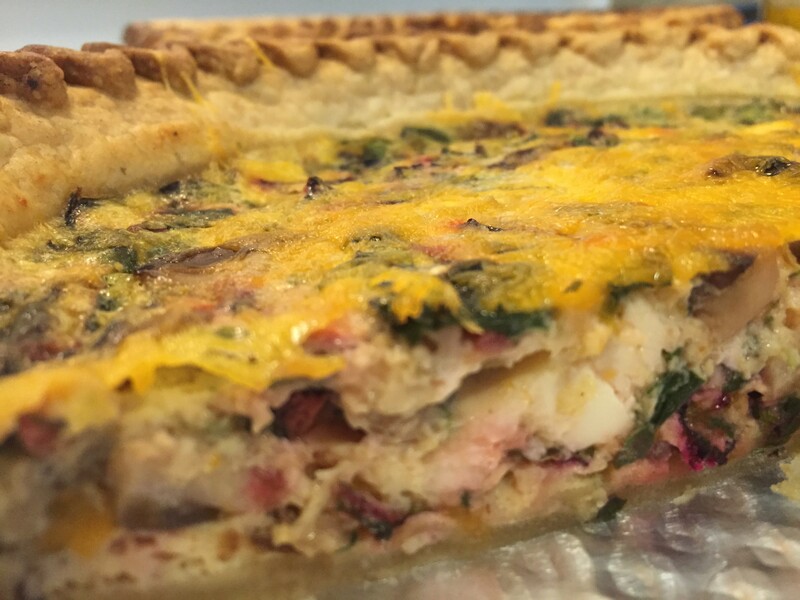 Mix the greens/mushrooms bowl into the eggs/feta bowl and evenly distribute the mixture into the two pie crusts. Bake quiches for 28 minutes or until knife comes out clean. Remove from oven, sprinkle with cheddar cheese, and let cool until all of the cheese has melted (~10 minutes). Damn, this is really good. Like, I’m probably going to kill half this pie right now before I even post this. It definitely has the right amount of salt (I was worried about that with all the feta) and the beet greens are awesome. Also, the amount of mixture per pie seems to be just right. It’s not too much or too little. 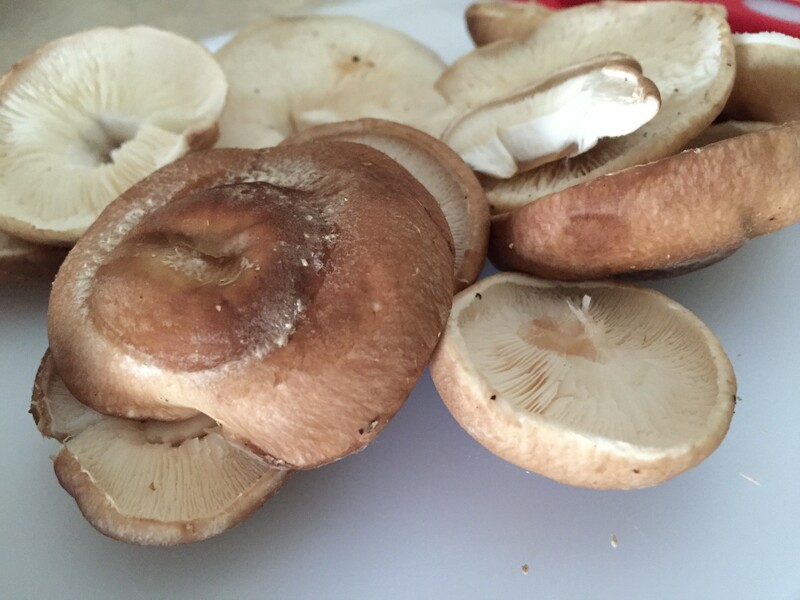 Next time, I’ll probably double the mushrooms and maybe cook them separately (probably in butter) because you can’t really taste them. Maybe a wholewheat crust too? Whenever I find recipes online (especially those posted on random peoples’ personal blogs) I always wonder what the cooker actually thought of the dish when it was done. Sure, they probably liked it (why else would they take the time to post the recipe online? ), but it probably isn’t the best thing they’ve ever tried, so what did they like/didn’t like? Anyway, that’s what this is.